For better-tasting food and longer-lasting equipment, set aside time at the start of barbecue season to give your gas grill a little tune-up. Grilling season is back, and not a minute too soon! To avoid any unpleasant surprises on your inaugural cookout, give your grill a little TLC before you start it up. Shut off the valve on the propane tank, then carefully remove the cooking grates, gas tubing, and burner. Wash the grates and gas tubing in soapy water, then use a damp rag to wipe grime off the burner. Next, poke a toothpick into each hole in the burner to dislodge any gunk from last season. Finally, use soapy water and a stiff brush to clean the inside of the grill before reinstalling the gas tubing and burner. Before your first cookout, fire up the grill, with the burners set on high. Let the heat burn off any grease or such that you may have missed. Doing so also provides assurance that all components of the grill are working as they should. 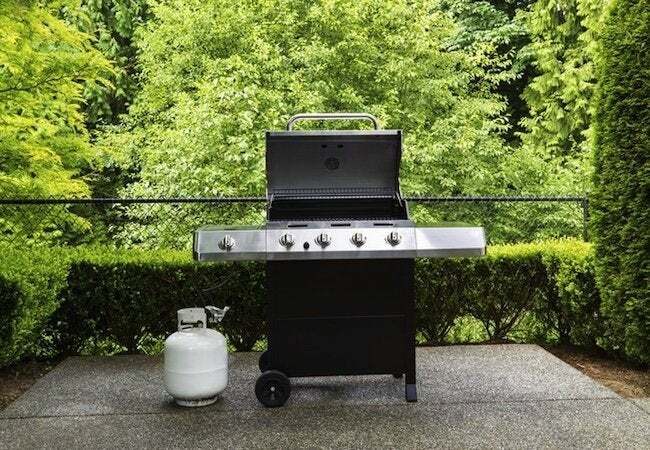 It may be wise to keep a couple of propane tanks ready to go, as you never know when unexpected guests may show up with an appetite for one of your juicy burgers!